Malcolm is a well known and respected member of our Montessori community. But unlike many of us he is at the end of his Montessori journey. His youngest daughter Leah has recently graduated from our local Montessori school and will next year commence her first year at Canberra Girls' Grammar School. I thought I would ask Malcolm a few questions and find what is at the heart of his dedication to Montessori education. Can you tell us about how you were first introduced to Montessori and what your thoughts were at the time? As a youngish father, I was 35 when the Canberra Montessori Society was set up by Margaret Fleming, I had no thoughts on education. I was too wrapped up in my own life - work, hobbies, marriage, house, etc. Even the birth of my eldest, Jeremy, came as a bit of a surprise - I had no plans to be a father! It was my wife Liz who saw through my preoccupation and decided it was time, and it was she who introduced me to Montessori. Liz joined the fledgling CMS, was secretary for a while, and set me to work building pink towers and playgrounds. I still haven't really read very much of Maria Montessori's writings so my interest in the Montessori Method comes more from observation and participation than from theory. Your son Jeremy was in the foundation class in 1981 as a three-year old and is now studying Medicine . What impact do you think his Montessori education had on him? There are so many influences on a child that it is hard to pin this down, especially as Jeremy only did three years with Montessori as our School only had two cycle 1 classes then. Everyone had to move on to another school when they turned six. However, he has an amazing ability to focus and to concentrate on the job in hand which I could say his early Montessori schooling must have influenced. He has always enjoyed learning and always wanted to be good at what he does, two other attributes I'm sure influenced by his early involvement with Montessori. He, himself, remembers his Montessori period fondly, especially some of the geography work (he learned what an isthmus is) and numeracy work. He still sees Montessori equipment in his mind when he is doing mental arithmetic. Readers may be interested to know that his first love is flying and he was flying 747s for Qantas by the time he was 25. He loves the intellectual and manual challenge that mastering big and small aeroplanes presents - dexterity of the mind and hands is required, and bringing the aircraft safely back to land and neatly parked is not unlike a Montessori child mastering an equipment-based challenge and returning it safely to its designated place on the shelf. Have you implemented Montessori principles in your home? One of the first elements that appealed to me in establishing our "children's house" classroom in Canberra was how everything is designed with the children in mind - the prepared environment, put together so that children can operate within it so easily. I guess it is intuitive when you think about it, but so many people do very little to make their home child-friendly. It is not hard to do the basics, making sure things are within reach, door handles down low where needed, chairs and tables the right size, or at least steps and stools to bring a child to the right level, mirrors they can see themselves in. So, yes, I have always tried to do that, as well as doing as much as possible to encourage my children to do things for themselves. Leah has been making her own lunch to take to school since she was 10. You have an obvious passion for MG motor cars. How have you shared that passion with your children? Ah yes, my children have learned to "roll with the punches" when it comes to my MGs. There are three distinct phases of rolling. At first they know no different and are happy to travel in what is clearly (to everyone else on the road who stare at us) an unusual car. But when they get to about 11, they become sensitive to the stares and go through the "can you just drop me here where no-one can see me" period. This can coincide with the third phase which is "when is the next motorkhana, Dad, I need to practice my gear changes?" I have one MG in particular that has been used to teach each child to drive when they get to 12. At this age, they are permitted to drive the car in MG Car Club events and I like to think that by learning how the car works, and how to drive it proficiently, they are better prepared for when they get their licence and drive on the road with the rest of us. This MG is now owned by Leah who can drive it reasonably well and proudly proclaims the fact to her friends. She still prefers to be dropped off around the corner though! As a final parting gift to the parents and students of our School community who have observed my own fleet of MGs coming and going over the years, I arranged for a display of 25 MGs to be put on at our annual Spring Fair this year. The cars ranged from a 1925 replica of the first MG, through to a pair of 2005 model cars, the last produced in England, with a good selection of models in between, some rarely seen on the roads in Australia. You are known for 'keeping the faith'. What does this mean and at what times has it been difficult to keep the faith? There are many pressures on parents when it comes to deciding on education options for their children - financial, religious, doctrine, etc, so it is not surprising that the attrition rate from a small School such as ours is quite high. Currently we go from a cohort of about 50 children in the first year of our cycle 1 classrooms to a graduating group of about 10 as students leave along their Montessori journey to attend other schools. Also, as a small community, the personal element can become quite influential too, especially if a parent sees their child having interpersonal issues with other students or with classroom staff. There are not many options within the School to help with these issues. And the parent community can also have either a positive or negative effect. My current partner Gaye, Leah's mother, and I have had our share of these during Leah's time at the School, but personally I felt it was important for Leah to have stability during her primary schooling (unlike myself who attended seven primary schools as my father moved from city to city with his work), and I also wanted to see how a complete Montessori primary education prepared Leah for high school. Gaye was happy to support me in this choice. With Leah transitioning to Girls' Grammar do you feel there are any particular challenges or advantages transitioning from a Montessori school? Canberra Girls Grammar School is a typical (I'm sure they would argue about this choice of word) well-resourced Australian private school. It has been carefully managed over nearly 100 years and so has a beautifully organised set of buildings offering everything in education that any parent (and child) could wish for. Everything from hands-on science labs, art studios, drama theatres and fashion rooms to well-resourced libraries and classrooms to challenge the intellect, picking up a gymnasium, swimming pool and manicured sports grounds along the way. A Montessori graduate with their love of learning, their honed research skills and their deep understanding of literacy and numeracy will find just what they are looking for somewhere inside the school's gates. The biggest challenge will be transitioning to a more structured framework where she will be expected to do some work that she might prefer not to be doing, but I don't see this as a major issue. She will still have plenty of time to dig deep into other things. She may also have to work a bit harder to catch up to other girls from more traditional schools who already know their maths by rote but who don't really understand why it is so (unlike a Montessori child who can picture her maths in her head and instinctively understands why it is so!). What advice do you have for parents considering a Montessori education for their children or for those who are unsure if Montessori is for them? I love the way that at nearly 12 years old, Leah still skips into School. For me, this is the most important element in her education so far, the love of learning. How many other children do you know who still skip to school at this age? Still have the light in their eyes as Trevor Eissler says. They are more like the children in his delightful Youtube clips that explain so clearly the benefits of Montessori approach. I feel so for the child trudging to and from school weighed down by a back pack full of homework! 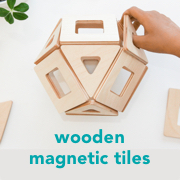 But more than that, I'm convinced that the deep understanding of how things work that Montessori's equipment-based learning gives children is a distinct advantage in the longer term. Just think of Jeremy in the cockpit of his 747 second-guessing his on-board computer's navigation calculations with his own mental arithmetic picturing his early Montessori equipment. Add to that the "big work cycle" for concentration, the "respect for the child" philosophy for self-esteem, and the emphasis on "research" and "independence" to encourage a child to get to the bottom of things on their own or in small groups, and you have the basis for a set of skills to carry any child through any high school or university into any profession or occupation they may choose to follow. For life. Thank you so much for allowing me to interview you Malcolm! Also a big thank you to the talented Ayu Srimoyo for the wonderful photographs. Ok, you know it's not snowing here. But true to European tradition snow reminds us of Christmas. Today while being rushed by last minute packing, wrapping and craziness, Otis and I made some Christmas Snow Cakes. Whip the egg whites to snow then lightly pour in the sugar and grated coconut. Make the cakes in a small paper basket and bake for 10 minutes at 180 degrees Celsius. Knowing my children hadn't eaten fresh coconut before I chose to grate it myself, but this recipe would be very quick if you used the pre-grated/shredded coconut. Here they are whipped and ready to go into the oven. And out of the oven. Beautiful and meringue-like with the added flavour and texture of coconut. Caspar was 'too busy' to cook today but this would be fun to cook with your child. Renata's daughter would make this at two and a half years. She would just whip the snow and her daughter would do the rest. You can see Renata's daughter all the way from Prague pouring the cakes below. Thank you for the recipe and idea Renata, these were a quick, easy and tasty treat perfect for the season! A Girl & her world is a small Australian based organisation that supports the education of girls in Fiji. It was established by Jane Kennedy after a friend in Fiji reached out to her for help, you can read their story here. Kym and I were talking this morning about perspective bringers. Those moments that we all have at different times that are intended to remind us of how great we actually have it, even if we feel like life is sometimes all too hard. This morning after receiving an email from Urmila in Fiji about a new girl she had assessed, I asked Kym to please send over the money needed to set her up. I matter-of-fact-ly texted and said ‘she’ll need it all in one go as she has nothing’… no uniform, books, bag, shoes, nothing. Kym responded by saying, ‘it’s good for us to be reminded that there are people with nothing’. I paused. In the work that we do it’s easy to get matter of fact. It’s easy to get busy with the work of supporting girls and their families and to disconnect sometimes with the reality that there are people who have nothing. No food, no job, no school supplies, no money for fees or books or stationery. So what can we do to help? In 2013 all the money from sponsorship on this blog will go towards a Girl & her world. Thank you to sponsors who have decided to continue and thank you to new sponsors that you will soon hear about. If you are interested in sponsorship please send me an email at howwemontessori@gmail.com. I also thank you - readers of this blog, because without you there wouldn't be any sponsors at all. I have placed a Girl & her world image on the left side bar and it will remain there all year. If at any time you would like to find out more the link will be there. If by chance you know of someone who may be able to help through spreading the word or making a donation, please send them a link also. In the last couple of days Fiji has been devastated by Cyclone Evan. Many families have lost everything. Now is a good time to donate. $5 will give a girl hair ribbons for a year, $10 will give a girl stationary for a year, $25 will give a girl's family chickens for eggs and income support. You can read the entire Christmas catalogue here and stay up to date with a Girl & her world (and how they are helping those effected by the cyclone) on their Facebook page. I encourage you to look through the a Girl & her world site, there are many heart warming stories. Please link and share with your friends. I know this post is a little out of the usual so thank you for reading. After writing about how Caspar was using Montessori number work to practice his numbers, I received a copy of Montessori letter work to review also. Having these books together is really useful. You can see our letter work book is looking worn, it's certainly getting used. I would suggest these books are best suited for a child around three years - when the child first expresses an intersest in writing. Although Otis at 20 months loves counting books and Caspar at five years uses these for practicing some of the more difficult numbers and letters. The books could be used alone, in conjunction with a sand tray, chalk and black board or pencil and paper. The books are board books, thick and sturdy. The numbers and letters are slightly textured, not as rough as the sandpaper letters I've felt. I've said it before but I think these books are a great at home alternative to the sandpaper numbers and letters. They would also be a good home schooling tool and could be combined with other methods of education. In this book the child sees the image of one owl, turns the page and there is the word 'one' and the sandpaper number '1'. Caspar is still using this book to practice his 6, 9 and 8. This book isn't in alphabetical order. First the child has the opportunity to trace the letter and then associate the letter with the sound. Caspar is learning cursive at school but easily switches to print. His writing at home is in print and most of the books he reads are in print. His biggest struggle which this book helps with is distinguishing similar letters b and d, g and q. Here he knows this is a buh because he can see the bus. Caspar was first introduced to the sandpaper letters in a Montessori school environment. At home he sometimes traces the letters with one finger, sometimes two and sometimes he just brushes his hand over it. He is left handed though. One minor down side to these books is they don't sit open. Caspar has found it hard at times to keep the book open with his other hand. I know many parents have found the time to make sandpaper letters and numbers. If you don't have the time these two books are the next most cost efficient option. 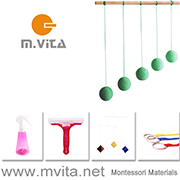 Montessori number work and letter work are available from Amazon. Montessori number work and letter work are available from The Book Depository. Montessori number work and letter work are available direct from the publisher at Abrams Books. These books have been written by Bobby and June George. Bobby and June are founders of the Baan Dek Montessori School. Baan Dek also has a really interesting blog, worth a read if you have a few minutes spare and has a lot of beautiful school images. I don't often accept goods in return for reivew but I found these books were not only a good fit for this site they are also a good fit for our family. I recieved these book free of charge in return for this review. I know there are a few readers who have purchased both of these books, I would be interested to hear what you think. Today was the first day of our summer school holidays. It was nice to have both children at home with me. It was nice to have Caspar cook lunch. If I were to write another kids cook book it would definitely include Fried Rice. It's easy for kids to cook. Caspar has it very easy, most of the time I prepare the ingredients while he gets started. Eggs (cooking above), Rice, Capsicum, Corn, Peas (including some from our garden), Carrots and a splash of Worcestershire Sauce. For the children we prefer Worcestershire Sauce to Soy, we only use a little and the taste is mild. The kids rush to take their rice outside. It's the best place to eat! Caspar started cooking with the electric pan when he was four years old, I wrote about it at the time - Kids Cooking with Heat. What heavy hearts we have. It's difficult to explain the pain one feels, the pain that so many must be feeling right now. Families, friends, a community and a nation in mourning. I am so very sorry for your loss. I live across the globe and haven't caught a lot of coverage. I've seen snippets of the news. It's difficult to comprehend. We send our children to school each day with the presumption that they will be safe. While acknowledging the grief surrounding the events on Friday I would like to pay tribute to the very special teachers at Sandy Hook. For we are hearing stories of immense bravery. I pay tribute to a Principal who lost her life trying to defend her school. I pay tribute to the teachers who lost their lives protecting the lives of children. I pay tribute to the teachers who led children to safety in the most tragic of circumstances. I pay tribute to the teacher who told her students she loved them. I pay tribute to teachers everywhere who care for our children, who protect our children and who love our children. I pay tribute to teachers who keep our children safe everyday. As a mother I say Thank You. To the people of Sandy Hook, to the Mothers, Fathers, Sisters, Brothers and all those who have suffered loss - may you find peace. You are in my thoughts and prayers. If you have been following me on Pinterest it would come as no surprise that we tried this idea. We made enough for Caspar to give to some of his friends. You can see we put glitter into the yellow as Caspar wanted to add some sparkle for one sparkle loving friend. Thank you to Meryl for what I think is a fantastic and original idea. You can see the instructions on My Bit of Earth here. Caspar tested all three colours. None of them stained or coloured his hands or the bath. The bath water ended up slightly brown as he used all colours at once. Caspar also enjoyed writing on Otis's back. So much fun. There is a wonderful feeling you get when your child does the right thing at the right time. It makes you feel proud, makes you feel like a great parent. Then there are times when your child repeatedly makes mistakes, messes or does the wrong thing and you feel like a failure. Toilet learning can be tough like that. Otis often makes messes or has accidents but some days it's worse or more public than others. This morning it was on my bed, last week it was three puddles at our parent-toddler class. Mostly I just get on with things, I never make a fuss. He's getting it. So where are we at? Otis has been using the potty at home for many months now. At home he will usually go without pants or have under-pants on. If we have just been somewhere, are about to go out or have guests over, Otis will wear pants/shorts. Remember it's summer here. At home he will usually make it to the potty but there is at least one accident a day, sometimes more. Beware of the under-pant obsession. If it doesn't have a car on it - Otis won't wear it. Emptying the potty is a big deal. Otis takes great pride and care in taking the used potty to the toilet, emptying it and wiping it clean. Then the fun of flushing the toilet just like a big boy. He is also super inquisitive about other family members using the toilet. I think most toddlers are like this, exploring what goes on around them. Toileting at home - Phase One complete! We are currently working on Phase Two - toileting away from home. When we go out Otis usually wears training pants. The only time Otis wears a nappy is at night. As Otis doesn't always makes it to the toilet while we are out the training pants capture most of the mess. Before we go out I will have Otis sit on the potty. Often he just gets up and walks away. If I know he really needs to go I will give him a drink of water while he sits on the potty. This is the only way I have been able to get him to use the potty on cue. There is something about having a drink that automatically makes him go. It's working. I keep a potty in the car and if I still feel like he needs to go I will often ask him to use the potty while we are out. He never has. This might not work for him. If we are at a friends house or at school I will take Otis to the toilet on arrival (if it's been a while since he has been) or when he gives me the indication that he needs to go (usually reaching/touching his pants). So we have some success while we are out but it's definitely requiring work and attention. Phase Three is at night. Otis wears a nappy at night but often he takes it off. On his bed he has the puddle pad under his sheet. During the day he will usually wake and need to go to the potty straight away. I think night time toileting will happen soon and naturally as Otis starts taking his nappy off more and the use of the potty increases. Toilet learning is an area where we haven't done it by the book. We've struggled at times and I'm simply explaining how it's working for us not how I would recommend it to others. We're finding our way. If you are looking for ideas or recommendations how to approach toilet learning here are some of the best tips I've ever read. We will be travelling again this summer but I'm not feeling hesitant. There will be times when Otis will need help/a change of clothes but I'm actually feeling confident. The red turtle potty was picked up during our last travels and it has become Otis's favourite. It might be travelling with us. How are you going with toilet learning? I don't actually know of anyone at the same stage as us. Most children we know have successfully learned toileting at a younger age or the parents have decided to wait until a later age before they start. People are either shocked because we have started so early or think we've started late. Do you have a toddler that likes to take all the baubles off the tree? Then likes to throw them? Otis is fantastic at throwing our shatter proof very bouncy baubles. I had to put them up high. Our precious baubles never made it out of the box. How about some baubles made from cardboard? They won't break, they won't bounce. Sure he might still take them off the tree but he cannot do any damage. They don't have to be neon, it's just the coloured card we had. Red, green and white would be nice but there are many colours that say Christmas. The first baubles (above) Caspar used tape to attach a loop of twine to one card circle. Then he used glue to attach the top card circle. Colourful flat baubles. The second baubles (below) came about by accident. Caspar and I were trying to make a dodecahedron ornament but as it got a little tricky for a five year old's hands an octahedron appeared. This is not an easy activity for a five year old and not easy for a parent who prefers her ornaments symmetrical. We are going neon all the way this Christmas. Presents will be wrapped with brown paper, tied with this neon twine and labels/gift cards will be made from the same neon card. Very bright indeed. Making things is Caspar's art. It's his creative outlet. His making materials have expanded so much over the last few months that his 'making box' exploded. His making materials were stored in a large black box you can see in the first photograph in the post where he makes a robot. While we have a lot of materials stored in our Art Centre, the most commonly used items are kept within his reach. The wooden caddy you can see is his making caddy. It's essential for making. Scissors, twine, tape. On the bottom of the art centre there are three big tubs of what are essentially recyclables. Empty cartons, cardboard, bottle tops, rope, string bags - everything we can think of that could be used for making. Large cardboard boxes are stored in our garage. So with his making caddy, sometimes his drawing caddy and materials he is set to go. Usually he tells me that he is making something or asks for something (such as a box) but sometimes I just find him deep in the making process. I'm not sure if Otis is helping or just supervising. Can you guess what they are making? It's a radio station of course! Because Otis wanted to do this activity while I was taking photos of Caspar's making materials I thought why not take a few photos of Otis too. Actually Otis walked right in front of my camera, took the pasting tray and set it up on his table. We've had pasting on the shelves for couple of months. The other activities on this shelf have been out since Otis first had access to the art centre; crayons with a drawing book to the left and playdough to the right. Otis's easel was kept in this space but now in our warmer months is used outside. Pasting with Christmas paper would be perfect for these December days. We don't use Christmas paper but I have scraps of special paper that I have collected for this purpose. I'm not really sure what this paper is called, it's almost like fabric and looks Japanese. Special paper for pasting! He takes the tray to his table. I add the paste. Usually we use Clag paste but as I had the Mod Podge out we use this instead. I pour out way too much but we use what was left over later in the day. We could use a protective mat underneath, I didn't really think about it and this table is easy to clean. I wasn't sure when he would stop but he kept on going until he ran out of paper. Honestly, I know you were thinking the room really needed a rug. Somewhere nice and comfy for the boys to sit while reading a book. A circular one would work well (just like in Jackie's room). I had been looking for the perfect rug for a long time. So much to consider; are there any out-gases (always a concern of mine with rugs), is it ethically made and of course the cost (oh the cost of rugs these days, this one is on my wish list). Friday night while at the Eco-Elves Night Market we found the most beautiful colourful rugs. I knew straight away that we were going to take one home. It took us (I mean it took Caspar) ages to pick out the right, very perfect one. This rug was made by a mother in Cambodia, she has nine children to support. I was given her photograph and her story when I purchased the rug. Her story brought me to tears (I'm an emotional kind of person). The rug has great texture, is really soft, thick and is machine washable (we washed ours straight away and it came out great). From Carpets for Communities. It's the kind of buy you tell your friends about so naturally I wanted to share it with you here. Otis approves too - he has been rolling around on it all day.